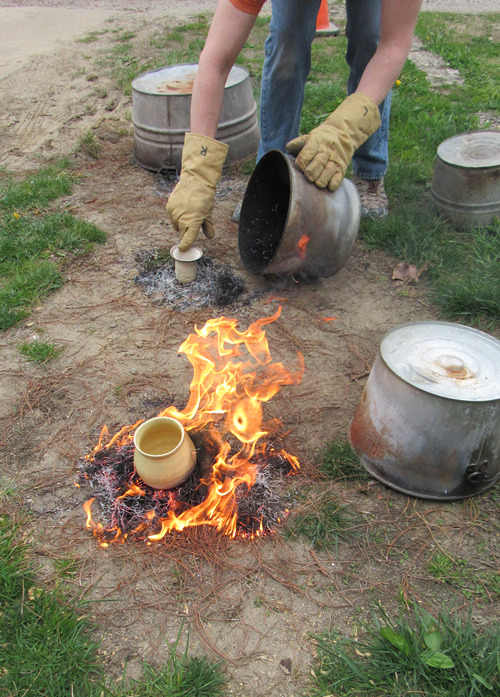 Raku firing on Thunder weekend at AA Clay: firing day of workshop. 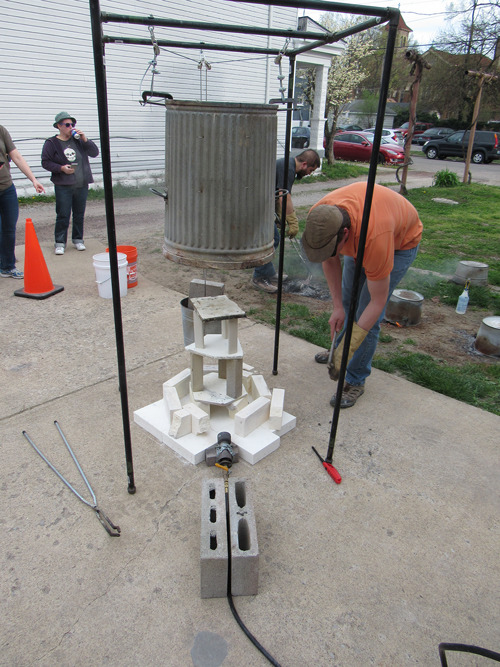 AA Clay offers a two-day raku workshop three or four times a year. 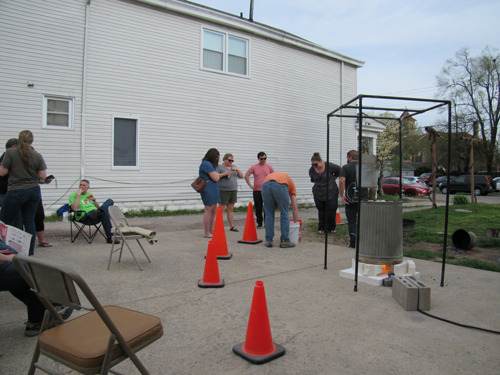 This workshop firing fell on the weekend of Thunder over Louisville. 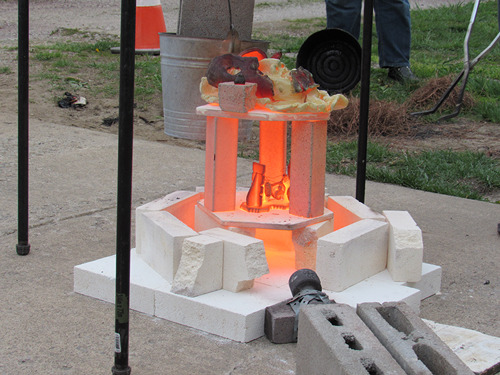 Take a look at the raku firing process. Check aaclay.com for upcoming workshops. 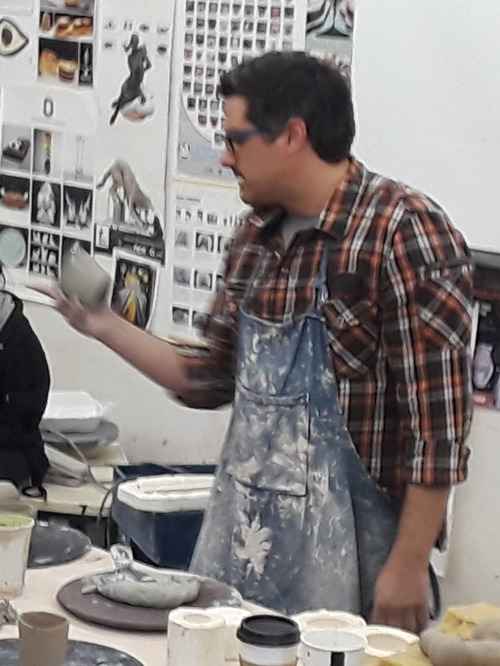 Author Clay ElementsPosted on August 22, 2018 September 10, 2018 Categories AA Clay, Clay community, TechniquesTags AA Clay Studio & Gallery, clay, local ceramics, pottery, raku, raku firing, raku reduction, workshopLeave a comment on Raku firing on Thunder weekend at AA Clay: firing day of workshop. 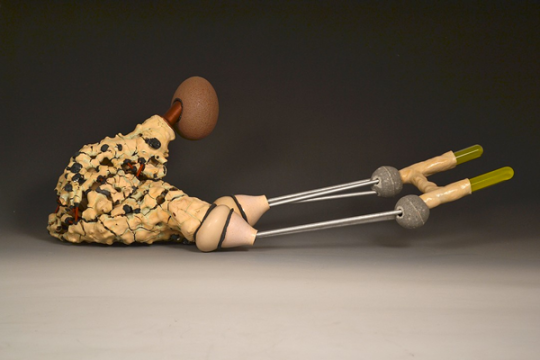 Matt uses his artwork to show us that ceramic art is about the process, not the product. And if we remember this, our products will astound us. Think about the pieces that we make that are important to our progress rather than being good products that we might exhibit or sell. Matt’s work is all about ‘process frozen in time’. 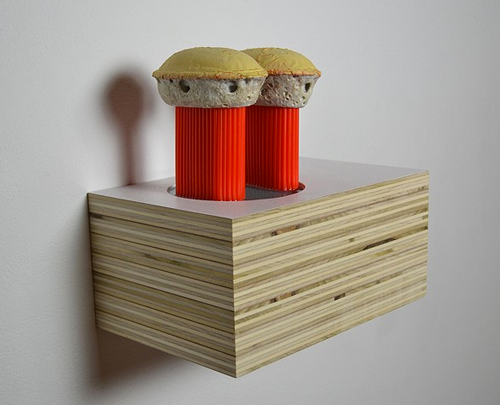 Assemblages give us a stop-action look into a time-based relationship between the mechanical and the organic. 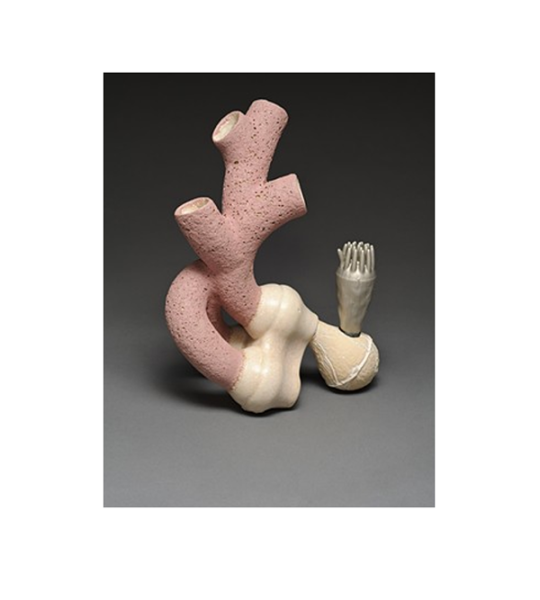 Objects made from: clay cast from items such as potatoes and toys; 3D-printed clay forms of cups and honeycomb patterns; plastic tubing; stacked plywood; aluminum; and cast urethane resins are captured by Mitros in engaging tableaus about life. 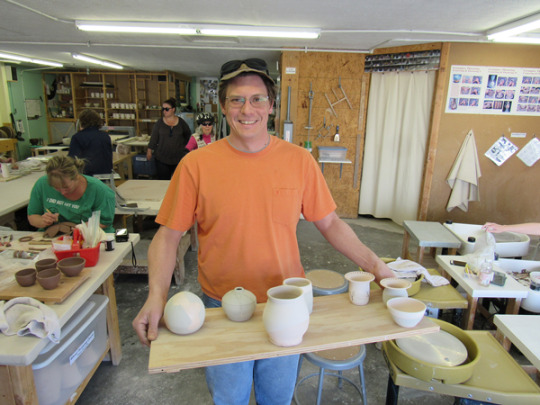 Let’s remember that Matt loves clay, began his career as a potter, has played extensively with raw clay. 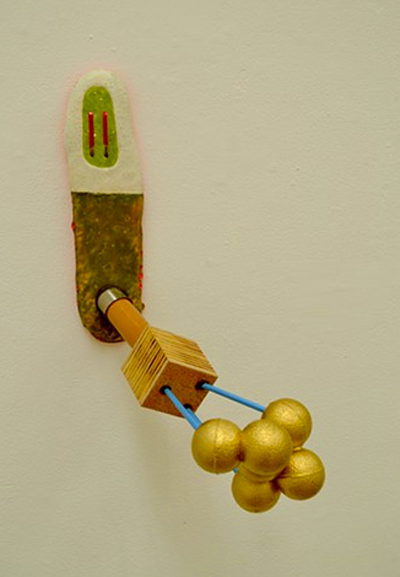 Over time his work has evolved into sculpture based on organic objects taken out of context, along with simulated built structures, such as walls and tubes. 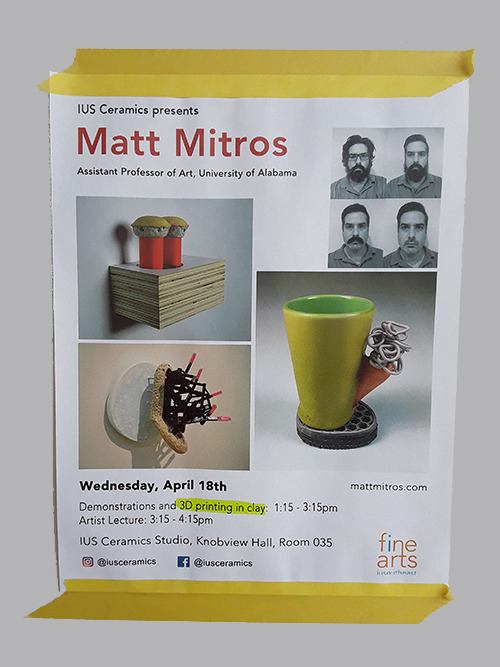 Here’s a Mitros insight: clay is one medium that allows an artist to freeze a moment, like photography, because it dries and gets fired and this stops an action in time. 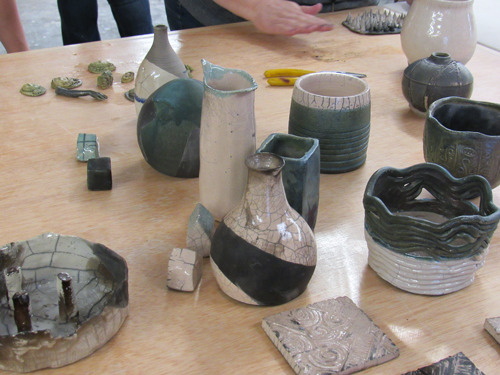 Think of that every time you finish a piece of greenware and pop it in the kiln. 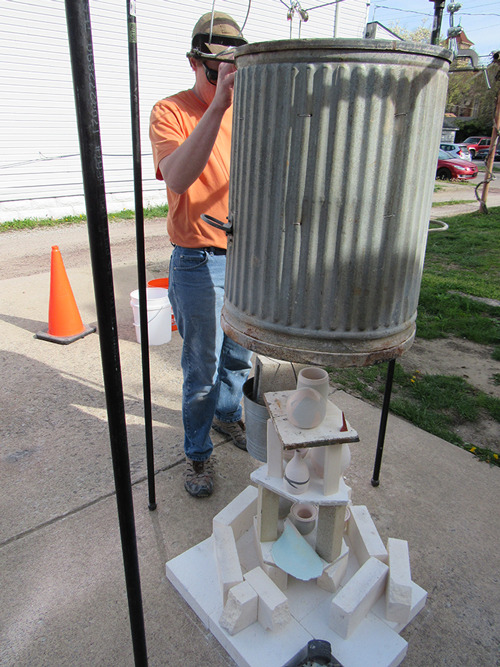 Matt has chosen to honor and innovate with clay by producing pots on 3D printers. Check out the next blog to learn about his printing techniques. 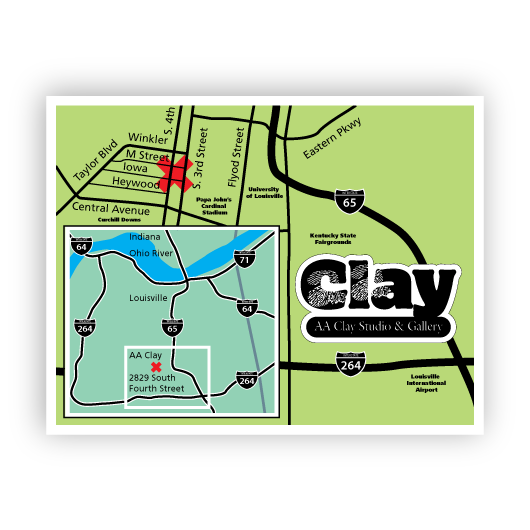 AA Clay Studio & Gallery, conveniently located at 2829 South Fourth St. in south-central Louisville KY, is operated by qualified ceramic artists. The Studio is a shared working space with modern equipment. 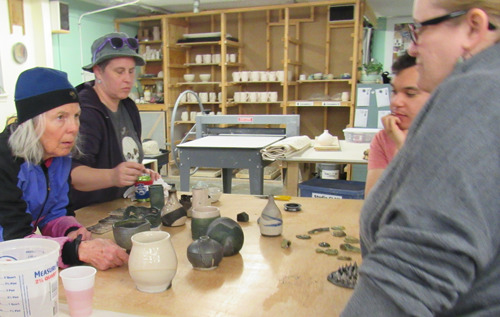 The adjoining Gallery, and the online gallery, feature a wide assortment of handcrafted ceramics from studio artists and master potters.